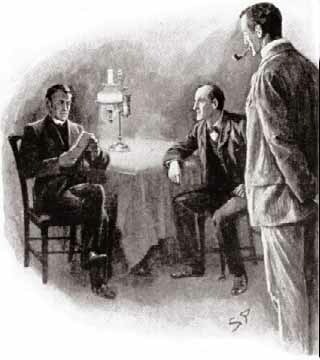 Re-reading the original Sherlock Holmes stories. Our heroes take on madness and the mob in The Six Napoleons. 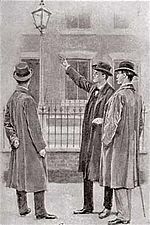 Facts of the case: Inspector Lestrade comes to Holmes with a seemingly trivial case about a deranged man who is so obsessed with Napoleon that he destroys any image of Napoleon he sees. When the madman escalates to burglary and murder, Holmes investigates. Turns out that this guy is no lunatic, but is caught up in a mafia plot. Great detective: Holmes has zero interest in the case until the suspect commits a burglary. 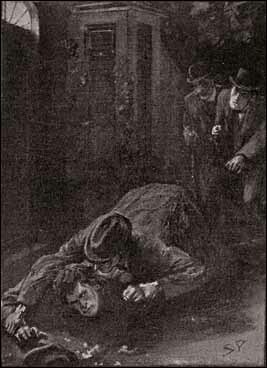 This shows how Holmes continues to be obsessed with crime, focusing all his mental energy on it. Good doctor: I was under the impression that Watson was a general practitioner, but in this story everyone comes to him for expertise in psychiatry. Maybe he’s just that well-read. Who’s at the door: Lestrade has become full-on buddies with Holmes and Watson, visiting their place for dinner on a regular basis, keeping our heroes informed about everything happening at Scotland Yard. This is a far cry from how the character was first introduced, where he was described as a ferret-like thug. Yes this is canon: Holmes spends a whole day going through old newspapers he has stored in the “old lumber-rooms” at 221B Baker Street. Is Sherlock Holmes a hoarder? Indubitably: This one has a lot of twists and turns, but it’s mostly plot-based, lacking the fun character stuff. It’s also one of the longer stories, and I found myself growing impatient, wanting to get to the big reveal quicker. That’s just me, though. This is another fan-favorite, and I can see why. Next week: Back to school.